Tree Health Consulting Ltd was incorporated in 2002 and has offices in both Staffordshire and Liverpool. We work throughout the Midlands and North West as arboricultural and tree relationship consultants. The company is headed by Andy Smith who is a Chartered Arboriculturist and a Chartered Environmentalist and has been involved in the Arboricultural Industry since 1974. 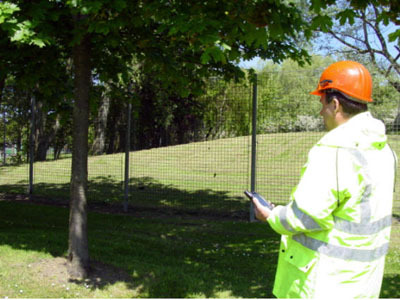 Having operated as both a contractor and then a Local Authority Officer for 15 years he has extensive experience coupled with the knowledge of how to apply that experience to all tree related matters. Andy has been qualified to Master of Arboriculture (RFS) level since 1989 and has been a Fellow of the Arboricultural Association since 1990. Continuous Professional Development is a key element in the development of staff within Tree Health Consulting and many courses are undertaken on subjects that both support and aid the consultative work that the company is involved in. As an example of this Andy has qualified as a Certified Expert Witness under the Cardiff University Bond Solon Accreditation Scheme. Andy is a Registered Consultant of the Institute of Chartered Foresters which is the Royal Chartered body for foresters and arboriculturists in the UK.